Happy Monday! I hope you all had a nice weekend…and if you’re in the US, I hope you’re enjoying the long weekend! A few weeks ago, a friend and I drove out to Buffalo, because we’d both been craving a Target run. She was on the hunt for a few home decor pieces and I was on the hunt for…whatever caught my attention. I ended up with a few great finds from the Dollar Spot, some props for my flat lays…and the West Emory Extended Bracelet Bar. I’ve been using it as a space to store my watches, since my bracelets live elsewhere. Life changing! 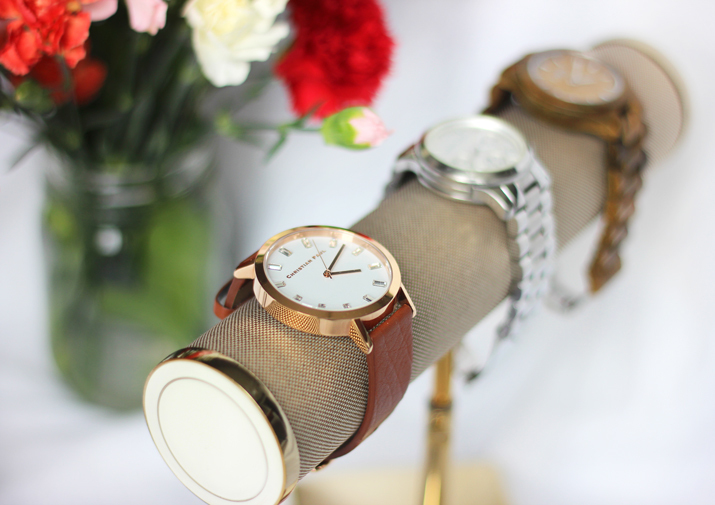 If you’re lacking in storage for watches or bracelets, you need this. Benefit Cosmetics – Watt’s Up! I’ve been a fan of Benefit Cosmetics for quite a few years now, and have been using High Beam as my go-to highlighter. On a recent trip to the Drug Store, I discovered Watt’s Up! and decided to give it a try. It’s a lot easier to use than High Beam, because you can apply it directly to your face (as opposed to your hand first). It blends easily into your skin to give you the perfect dewy glow. Don’t let the name fool you. This product isn’t just great for minimizing pores! I tried Porefessional at my local drug store, and was told to try it as a replacement to my other face primer. Lo and behold, it helps to smooth out fine lines and any imperfections. I’ve been using it for a few weeks now and it’s become my go-to primer! I received Posie Balm in a gift bag a couple of weeks ago, and while it’s not my typical shade (I prefer a bolder lip), I absolutely adore the smell. It adds a lot of moisture to my lips, with just a subtle hint of pink. It’s great for layering on top of other lipsticks, which lets me create my own custom colours. Umm…no words for these, other than the fact that they’re amazing! I love that they’re not too sweet, and are the perfect size for snacking. Seriously, I’m obsessed with these! 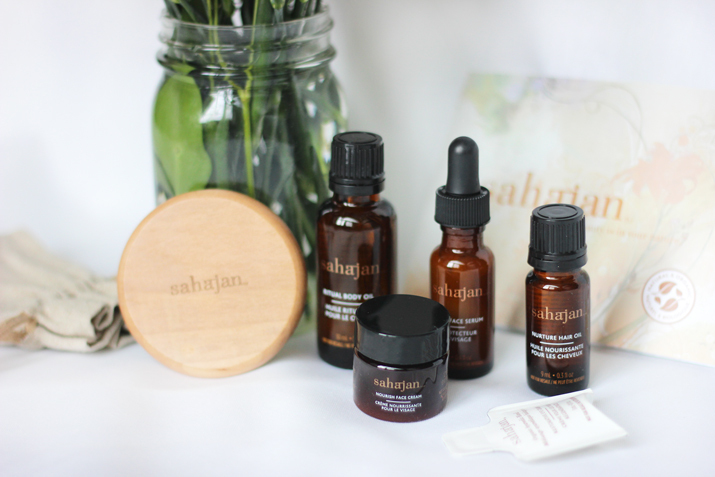 Sahajan Skincare is a line of skin and hair products, made right here in Toronto! 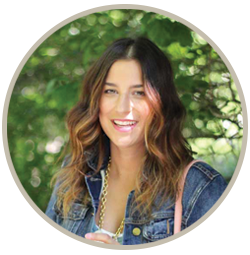 Their products are all organic, natural, eco-friendly…and they smell incredible. I’ve been using some samples of a few of their products, but if I had to recommend just one, it’s defintiely the face serum. 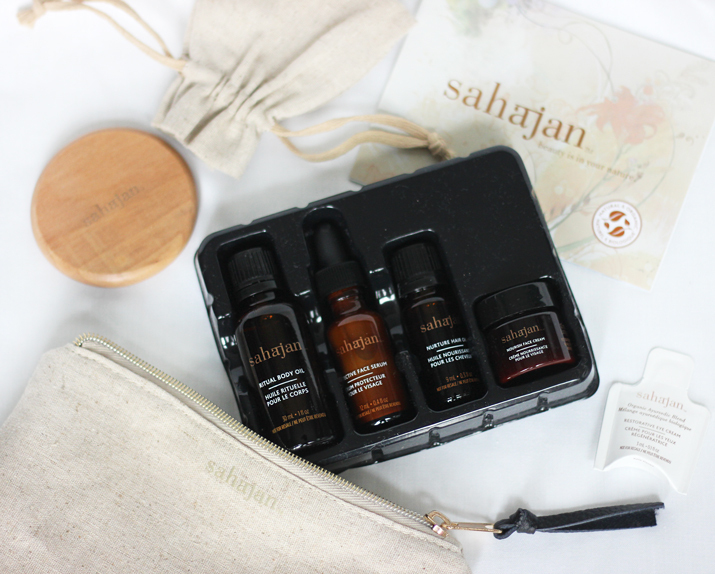 The serum is unlike any other that I’ve tried. It’s a lot less oily than a typical face serum, and leaves my skin feeling super soft and healthy. Have you tried any of these products before? I’d love to hear your thoughts, too! 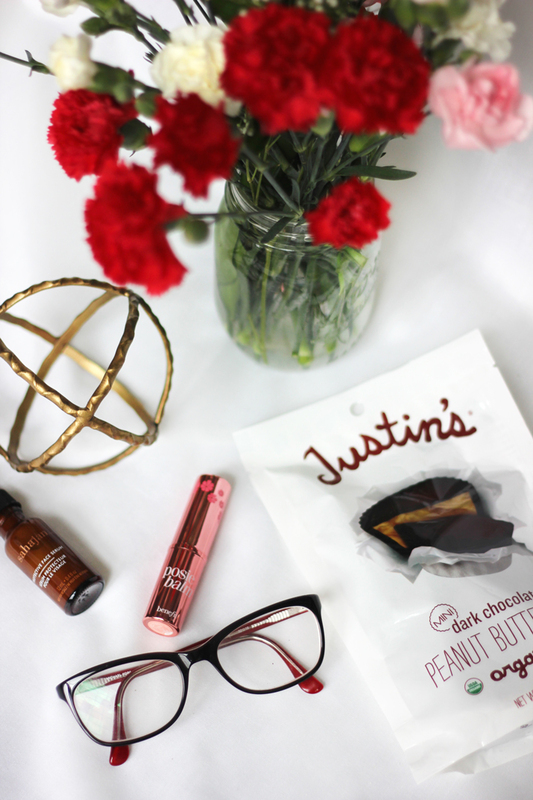 Justin’s PB cups are sooooo yummy 😀 Hope you have a great week! Yes, a normal workday can still be enjoyable! I’m glad you like the series. 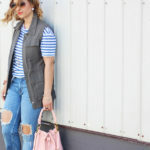 I’m just trying to find a way to (realistically) share some of the best of the best new goodies I come across. Take care doll! Oh, I’m hosting a giveaway, I’d love if you entered! Love that bracelet bar! I have one but don’t love it – may need to snag that one instead! 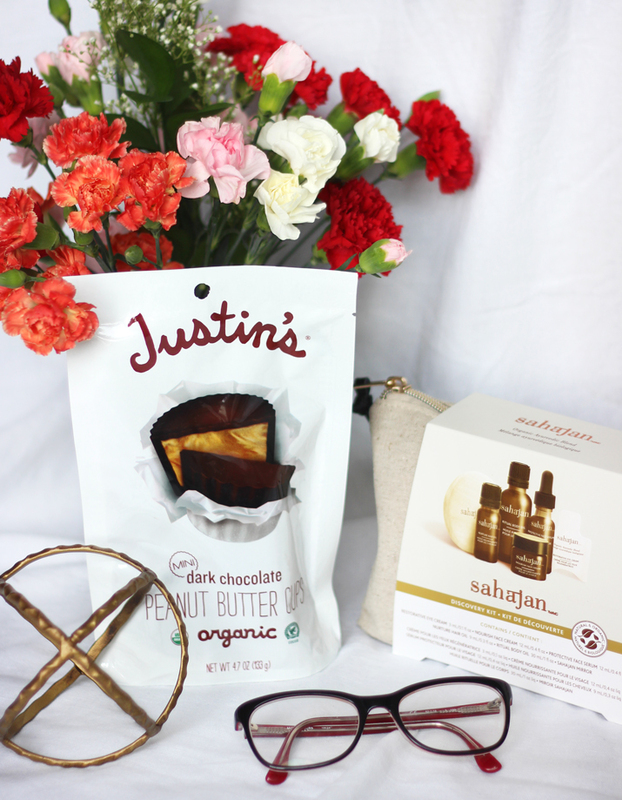 I love anything chocolate and pb! Sound like great products. I love these photos!! I need to try some of this stuff 🙂 I love the POREfessional primer! Hope you had a good weekend, lady! 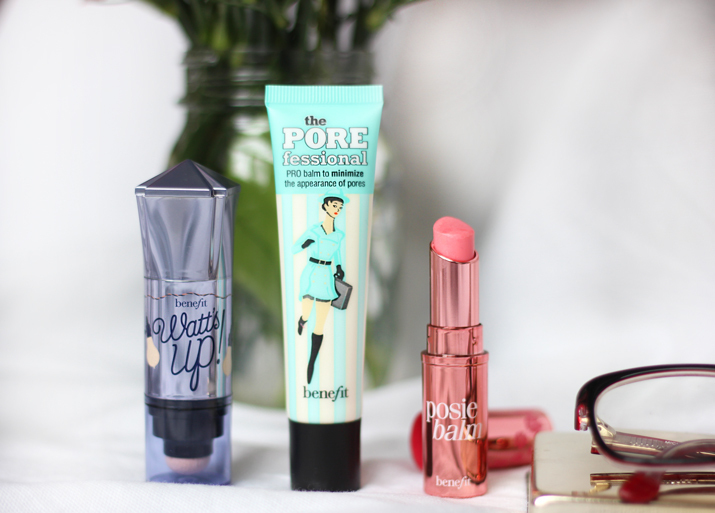 I love Benefit products – they’re amazing and I love Porefessionals face primer too!!! I really like the watt’s up highlighter! I just love Benefit products. Wow! I need that bracelet bar! 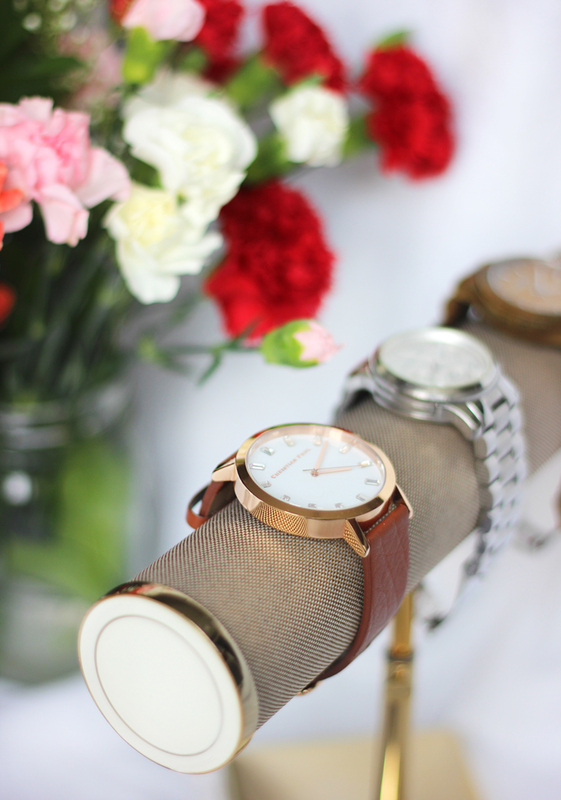 I really like to simplify my vanity and I can’t store my watches in their boxes – too space-consuming! 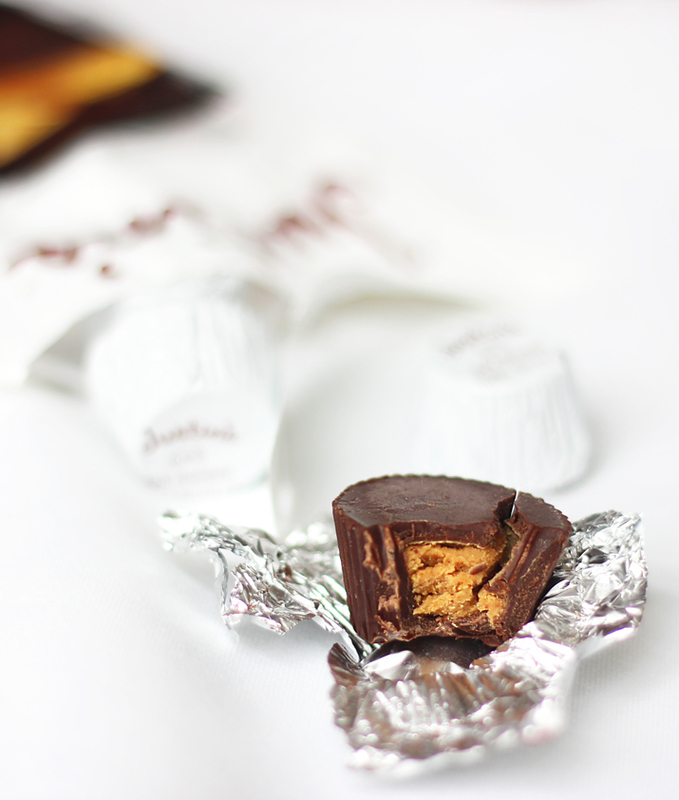 Those peanut butter cups look absolutely delish! I need one ASAP! 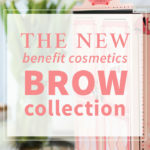 Love all the Benefit products and I NEED to try those peanut butter cups, yum! What brand are the glasses?